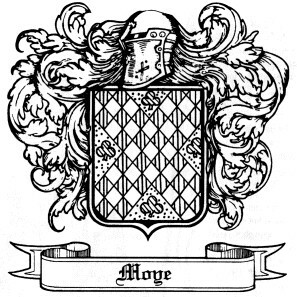 THE MOYE COAT OF ARMS HEREBY ILLUSTRATED IS OFFICIALLY DOCUMENTED IN RIETSTAP'S ARMORIAL GENERAL. "D'OR AU SAUT. ECHIQ. DE GU. ET D'ARG., CONT. DE QUATRE TREFLES DE SIN." "GOLD; A ST. ANDREW'S CROSS CHECKERED RED AND SILVER, BETWEEN FOUR GREEN TREFOILS." Vol I Moye Family Book 1800-2000 and you can purchase for $30. to Southhampton, in Guilford, Surry County. appointment in Craven County in 1714. Giles MOYE born 18?? Died 1947. Greenville, NC, Pitt County until 189? ; New Bern, NC, Craven Co.
after 189? Spouses: (1) Hannah DAVIS, (2) Ella BROWN. Parents: Tom & Mary ______MOYE. Siblings: Emma, Charity, Amos, Jenny, Phoebe, Joseph. Children: Sudie, Lawrence, Simon, Emma. Seeking records including ancestors held as slaves. Dorothy Wheeler, who were both killed in an Indian uprising. "for the natural love and affection which I have and bear for" John and for 10 pounds. John Cass Moye and his wife, Alice named their first son after this man. later moved to White County, AR before war ended  ???? 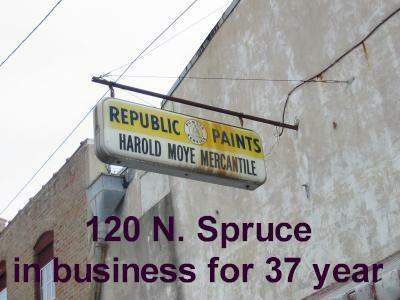 NOTE: This George Moye was part of the John Moye family. Princess Ann County and Beaufort/Pitt Counties.